As some of you may or may not know, I was in the Okanagan last week checking out a few wineries. One of the wineries that was on the list was 50th Parallel Estate's. 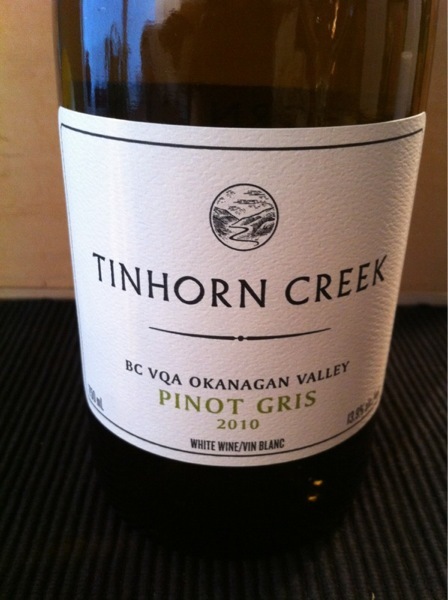 I did a video on their Pinot Gris last spring (click HERE if you want to watch & read that post). At that time, I said I believed them to be one of the new big players to hit the BC Wine scene. One thing I do like (maybe even a little more than wine) is to be right (obviously!). 50th Parallel really is up and coming as they are winning awards left, right and centre for their wines already (this is where I take another delicious sip of this pinot noir with even greater satisfaction - because it confirms that I was right about this winery!) So needless to say, I was super stoked to visit this winery! And all of you reading this should be too, not to mention you should also be going out immediately after watching this video and buying yourself a bottle (or several) for your own enjoyment. Not only did I love every one of their wines, the vineyards, views and people who are running the show there are amazing. I was lucky enough to do this little tasting with Grant Stanley. Grant is the Director of Winemaking and Viticulture at 50th Parallel. Some of you may already be familiar with his wines as he use to be the Winemaker at Quail's Gate Winery - also another one of BC's great wineries. And before he worked at Quail's Gate, he was making pinot noir in New Zealand. So his wine making and more specifically his passion for pinot noir has taken him on a journey that started 20 years ago! 50th Parallel specializes in pinot noir but they also produce gewürztraminer, riesling, chardonnay and pinot gris. Their little slogan is "Meet me at the 50th", which I think is perfect because the people who work here, as well as, the owners, are so warm and welcoming. Now, you're probably wondering "Where the heck can I try this wine? It sounds so amazing! ", I will tell you. It's available at most VQA stores in BC, Vij's restaurant (I think their riesling is by the glass here) and Abigail's Party in Kitsilano. Honestly though, I think you need to go to the VQA stores and buy the Pinot Noir immediately. It's about $32 so it is a bit more than other great options, but seriously, it's worth it. No, I'm not being paid for this post and I even bought my own bottle of pinot noir when I was at the winery last week. So this is an honest post. As a matter of fact, I've never been paid for any my posts. However, that would be nice one day! Thanks so much for watching and reading and I hope you enjoyed it. Please let me know if you do try any of the wines from 50th Parallel! I am curious to know what you think of it too!